Workshops + Online Class + Conference Call Programs | "TAKING THE BULLY BY THE HORNS"
Included below is an outline of our bullying prevention program for schools, along with additional information on the presenter, Karen. Also included is info on my nationally acclaimed book “Taking the Bully by the Horns” plus funding opportunities. 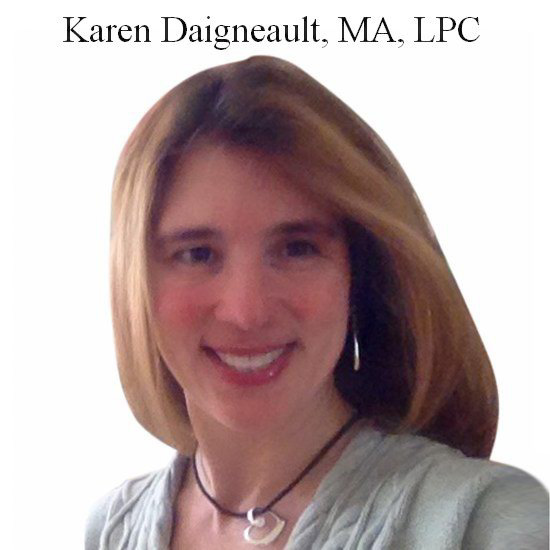 Karen Carrasquillo Daigneault, MA, LPC has over 27 years of experience in the Counseling field. She has provided individual, group, and family therapy to children and their families. Her areas of expertise are in working with children, teens, and adults in dealing with bullying, trauma, anxiety, and depressive disorders. In addition, she has been appointed by the Governor to provide treatment to both adolescent and adult sexual offenders and batterers of domestic violence. She has provided lectures and seminars at schools and facilities on Bullying and How To Deal With Trauma Based Children. Her audiences have included school personnel, parents, and students. She is able to structure her seminars to fit the needs of elementary, middle, and high school students. Understanding the Preconditions of Bullies. Cause and Effects to both Bullies and their Victims. Types of Bullying: Physical, Emotional/Verbal, Cyber. The Impact of Social Media and its Correlation with Bullying. How to Prevent and Address Bullying in the School and Home. Coping Skills for Victims of Bullying. Addressing the Families of both the Victims and Bullies. What is Trauma, Anxiety, and Depression. How to have Effective Communication with both the Children and their Families. What to Say & Do when Addressing these Issues. What Not to Say & Do when Addressing these Issues. Coping Skills to Help Children. How to Incorporate Skills in the Classroom. When to Seek Help and Guidance from Outside Agencies. Karen is located in Reading, Pennsylvania. Her fee is $495 plus travel expense. If you are interested, we will work with you on setting up a date and making the arrangements. If you would like to order copies of our helpful resource “Taking the Bully by the Horns,” the books are available to you at a 50% discount. Please type “half price” in the coupon box when ordering. The book teaches students how to successfully handle bullies while maintaining a healthy self-esteem. There is also a chapter directed at the bullies — offering them help on how to stop their negative behavior. Many bullies started out as victims. We need to break the cycle. You may wish to give these books away as part of the bullying program event, or you could resell them at full price and keep the proceeds to benefit your school. You could also make them available through your school website. All schools are allowed funding from the Federally funded “Safe and Drug Free Schools Program.” (You can find more info on this program by searching the internet) You are allowed an allotment of this money which can be used for our Bullying Program and Books. A small school applied for a grant at http://www.fundsnetservices.com through Highmark Healthy 5 School Challenge Program (Pennsylvania) and received $9,805. They are using this funding for our bullying program, and also to supply every student with a copy of my book, “Taking the Bully by the Horns.” It also may be helpful to partner with another school, district, or organization. Several times we’ve had schools get together to share the expense of our programs. Another idea for fundraising is to host an event. If you’re interested, here is a list of ideas. Also, Funding Factory is the nation’s largest fundraising-through-recycling program and helps turn your e-waste into cash to fund your school’s mission. For more fundraising tips please review the Green Schools Initiative. We hope you find this information helpful and will do some research to discover the different types of funding that are available for you. Is there any further information you need? Please let us know. 46% of schools do not take steps toward bullying prevention. We are hoping to help change this. The 200 page worksheet program covers all aspects of Bullying – including an intensive study of Bullies, Victims, Prevention, and Healing. The Worksheets are designed to educate School Personnel and Students – both Victims and Bullies. They include Classroom Strategies and Action Plans. If you are unable to host a Bullying Program or Workshop presentation at your school, please consider a Teleseminar or Conference Call Training by phone or webcam. Email for additional information kthynoll@aol.com These Nationally Certified Olweus Bullying Prevention Programs can be tailored to meet your specific needs. Several options are available to fit your budget. How to prevent student suicides resulting from bullying. Included in the price of the call are the official Olweus training worksheets. These Nationally certified program worksheets will be sent to you prior to the call. Talk to a Professional Nationally Certified Bullying Prevention Expert. A program can be for students (all ages), educators, parents, the community, or a combination. It can also be as long or short as you’d like it to be. We tailor the programs to fit your needs. There can be more than one program in a day – addressing different groups in different assemblies. We’ll also be sure to address within the program the topics and issues that are most relevant and important to you. Please email and tell us your interests, along with any questions you might have. Also, please send us a date (or dates) so we can check our calendar and reserve it for you. We can then begin working on an educational Bullying Program that will meet your needs. My associate, Elizabeth Bennett M.Ed, is a Nationally Certified Olweus Bullying Prevention trainer. She was the driving force behind the National anti-bullying law that was passed. Elizabeth drew up legislation for an anti-bullying law for schools. In 2006 she added cyber bullying to the bill, then got on board with the state house. The law passed out of the Senate unanimously and was signed. The law states that all school districts are instructed to adopt a policy prohibiting harassment, intimidation, and bullying. The policy must be incorporated into training programs which Elizabeth can provide. She is a passionate, professional speaker on Bullying, and we would love to send her to your schools to help educate you on this serious issue. Please email kthynoll@aol.com and you will be sent her Bio and Program Outline. If you are interested in taking an Online Bullying Class, please send your name to kthynoll@aol.com for details. Although the US has been slow to engage and work with the issue of bullying, it is now taking center stage. We are recognizing the long term emotional consequences of this behavior and beginning to intervene in a comprehensive manner. Clinicians are critical in this effort as we have the unique opportunity to work directly with the individuals involved in this trauma. It has been a privilege helping you work with this serious issue as this growth occurs. In this course we will review literature and research with extensive links and readings, including the CDC’s Bullying Compendium and the ABCs of Bullying from SAMHSA, which presents many tools for assessment and intervention. As part of this course, you will also receive the eBook “Taking the Bully by the Horns” by Kathy Noll and Jay Carter, PhD, which is printable for your use and valuable when working through these issues with the bully, the victims, and the bystanders. We will also include tools and questions for self reflection within the course. We will be running course specific blogs so that clinicians may share their thoughts and success tools that work with others. We always welcome ongoing feedback from our participants and are here to help you attain knowledge and achieve your goals. After you have taken the course, your Certificate and CE (7 Continuing Education Credits) are immediately available online. Participant will have tools for assessment, treatment and intervention with the issues of Bullying. Participant will reflect understanding of the basic definitions of Bullying and tools evidenced by passing the post test at 80%. Participant will have access to resources online for assessment and Bullying intervention.